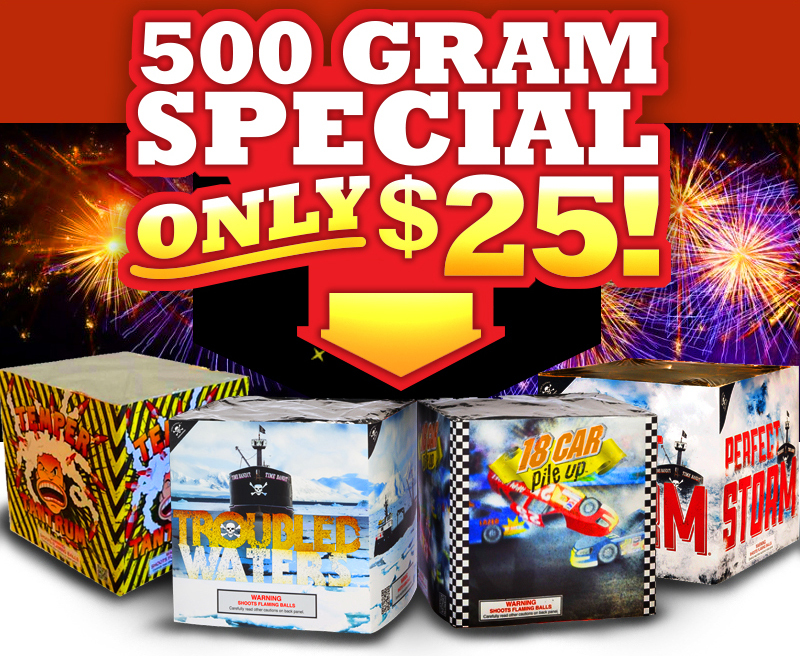 All artillery canister shells are 60% off including Excalibur, Miss Liberty, Inferno, Pro Shells, 5" American, Goliath, HD Shells, Smoke-n-Mirrors, Maxx Caliber, Big Bad Bangers, Chaos, Elite 8, and Star Spangled Bangers. 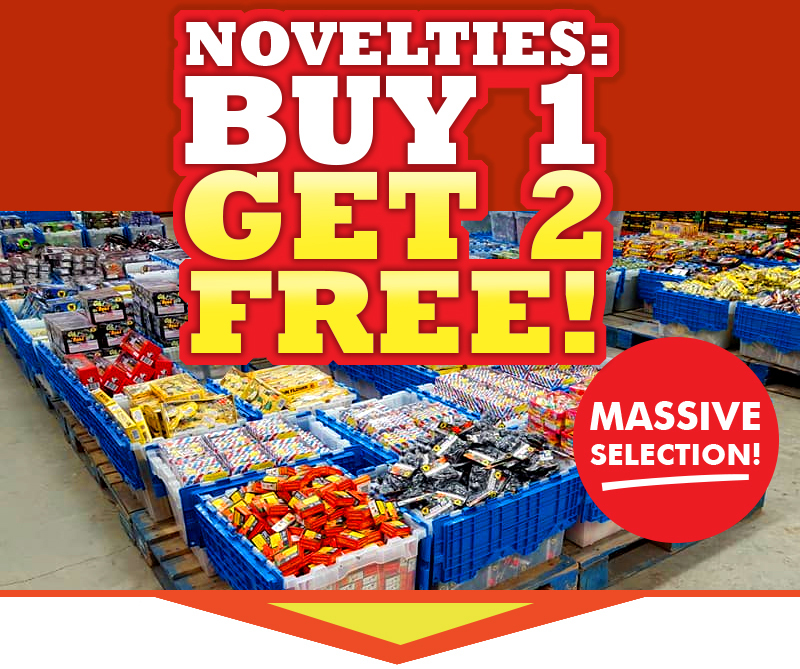 Our $25 special is fully stocked and in full swing! 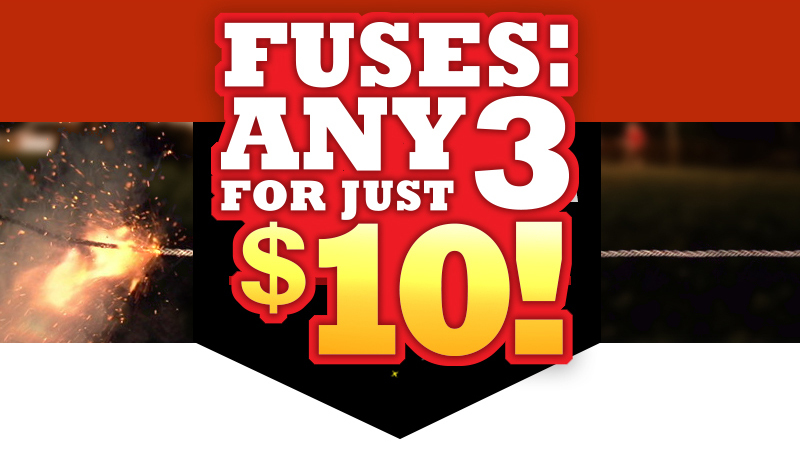 Select fuses are now only $10 for any 3 of your choice! Ask for details. 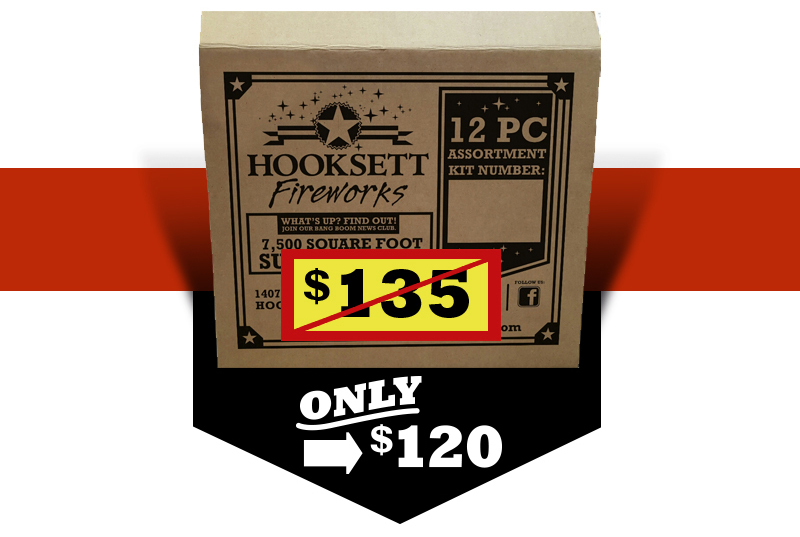 Our 12 piece kits are now only $120! Thats only $10 per item!